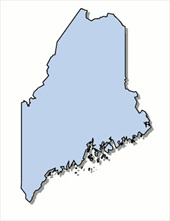 There is no interest rate in Maine as it only conducts tax deed certificate sales. The redemption period varies according to each municipality or county. The process and rules varies as well.